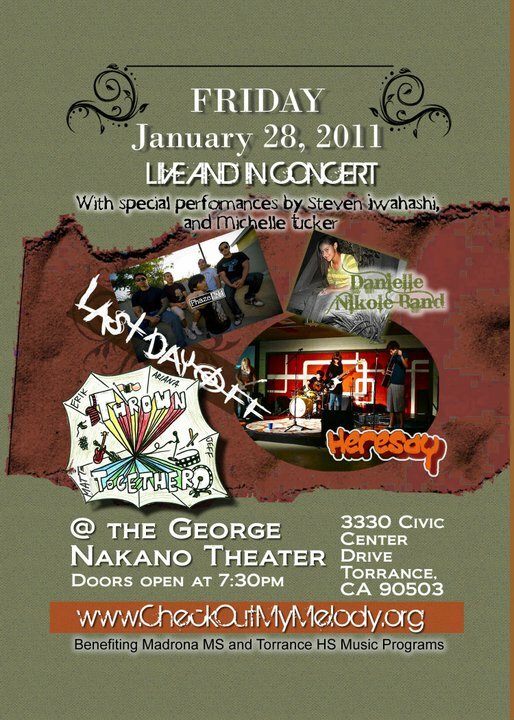 On Friday, January 28 was the 2nd Annual Check Out My Melody Talent Showcase, a music event put together by Lea Kawabe of Infinite Music Source to help raise money to help benefit the Torrance School Music Programs. From 8p.m. to 10p.m. the George Nakano Theater in Torrance, CA was filled with amazing bands and aspiring artists ready to show off their skills to a warm and receptive audience. Nearly filled to capacity, the George Nakano Theater audience was filled with independent music supporters, friends, families, and peers of the artists to support a presentation of their musical craft. 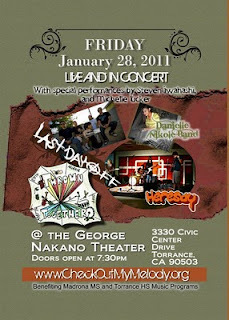 One band that returned from last years, Check Out My Melody Talent Showcase was the Power Pop Rock band, Last Day Off. Last Day Off’s Wolf Bradley hosted the event and he began show with an acoustic performance with their newest single called, “Mrs. Right”. 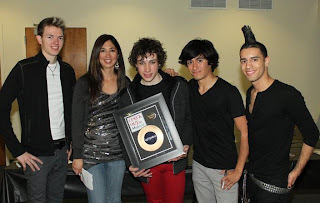 Immediately afterward, they showcased their music video to the song which originally was released in October 2010. The music video is about a high school crush named Trixie also known in the song as, “Mrs. Right”. In four short months, the music video has already scored over 12,500 views on YouTube. The opening acts that followed Last Day Off were a series of local music students that performed on stage to help these inspiring artists demonstrate their skills in front of a live audience and help these students to gain exposure, build confidence, and maybe even build a core fan base. The first student music artist to take the stage was the young, Michelle Tucker. Tucker came out on stage with one cover and an original song. The first song was a cover of “I’d Lie” originally written and performed by Taylor Swift and as she also sang one of her own original songs. I see a lot of potential for young Tucker, but I think the nervous jitters let it get the best of her. Once she becomes more comfortable performing in front of a large audience, she may shine brighter than Swift herself. 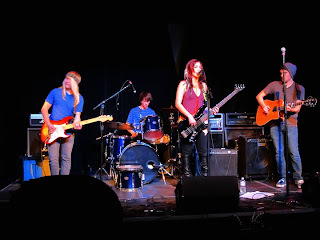 Next in the line-up was the Danielle Nikole Band. The very charismatic Danielle came out strong but with a calm presence that showed that she owned the stage. Danielle and her family band had an amazing performance that had the crowd clapping to the beat to songs that transcended both a combination of R&B, Hip Hop, and Funk. Danielle performed a solo with a recorded track for the song called, “Trippin”. Then, the full band brought on the soulful and bluesy song, “One Change” and they’re rendition of, “Heartbreak Hotel”, originally recorded by Michael Jackson. Next up was the surprisingly loud and eager cover band called, Thrown Together. 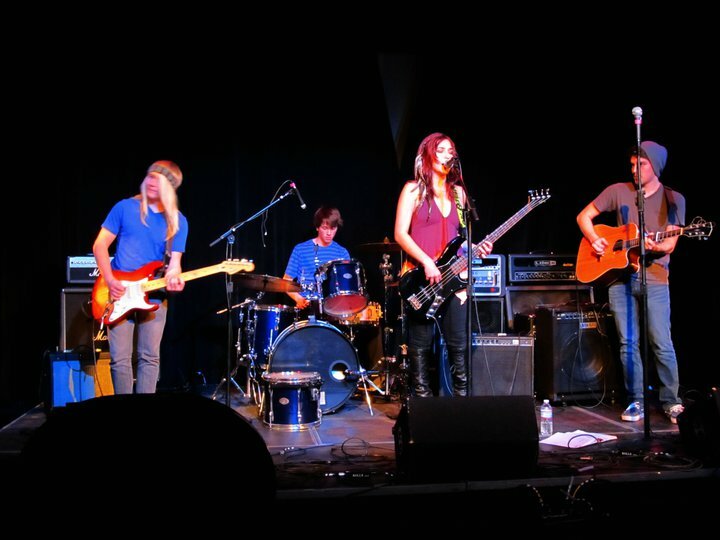 Hastily formed within a matter of weeks in order to enter a Battle of the Bands competition last October, this quad forged a group to perform several songs by Simple Plain, Foo Fighters, and Green Day. Lead singer Erik Hu was able to emulate each artist so well it was almost hard to decipher who the original singer was. While their performances were nearly an exact replica of the intended recording artists, inside the small auditorium, the over-amplified speakers fit for an outdoor amphitheater nearly blew the audience in from their seats. One of the highlights of the evening was when HereSay now known as The Kitsch took the stage. The sultry and bravado voice of Asia Graves immediately reminded me of Linda Perry of 4 Non Blondes. What was captivating about The Kitsch was not just the line-up of original songs, but how they were delivered. The entire band performed in complete harmony and balance during their entire set. More importantly, they possessed a sound that is both current, original, and every song was just as remarkable as the previous. Next was the band, Phaze One. When Phaze One took the stage, you could see the uneasy looks on people’s faces in the audience while the musicians began to set up for their set with not one, but two Les Paul guitars, a bassist, and drummer. It was obvious they were a rock band, but the uneasiness wasn’t that they wouldn’t be good, but that they might be as loud as Thrown Together. Surprise it to say, they did nothing of the sort. In fact, the music levels were dead on and the crowd was able to hear the music the way it was intended…in pure metal fashion. Not too over-the-top for a current metalcore band, Phaze One brought “it” with the intensity that reminded me of Trust Co. and many other metalcore bands of the early 2000’s when metalcore was just starting to become the new rock trend. The final act of the show was an encore of Last Day Off. Wolfe congratulated the all the performers of the night as he and his band took the stage to perform the closing song of the evening with, “Guilt Trip". As they began to set up, Lea Kawabe, the founder of Check Out My Melody and CEO of Infinite Music Source entered the stage to present a special "Power of Persistance" award to Last Day Off. This was an award for last year’s first annual, Check Out My Melody Talent Showcase. The award was not only for showmanship and recognition for last year’s performance, but it also represented a passing from student to graduate of the music program. It is a symbol that represented "their journey through the last year, and better things to come by continuing in their journey" and a “right-of-passage” into the music industry world. Great review! On your review of The Kitsch (Heresay), what does, "and neither song was just as remarkable as the previous" mean? It's making my head spin....so good or no? lol That was a typo. My producer isn't a very good editor, so unless I catch an error myself, my readers end up finding it first.